The dead never seem to stay dead these days. Just look at all the movies, tv shows and video games featuring zombies walking around, tearing up the place. It'd be totally fine if all those undead abominations were friendly ones, but those things always just slobber all over the place and end up trying to eat your flesh. That won't happen with this friendly guy! 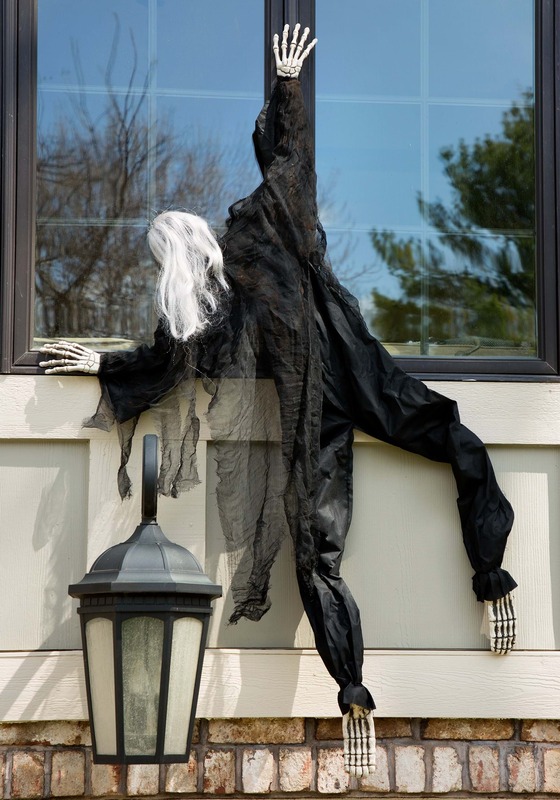 This Climbing Dead decoration looks like a total creep, but he won't actually try attacking you and he never tries to eat human flesh. He comes with a set of wire hooks so you can hang him wherever you want and he'll just hang there obediently until you decide to move him. Of course, he might frighten guests, since he does have the look of a freshly risen ghoul, but you'll just have to politely explain to your friends that he's your buddy and does exactly what you tell him to do. Standard Height 5 ft. 5 ft.